Xildhibaan Ingiriis ah oo magaciisa la yidhaa mudane Godfrey Bloom, ayaa waraysi ay ka qaaday shabakada Somalidiaspora oo ka danbeeyay, ka dib markii uu maqaal af ingiriisi ah uu mudane Godfrey Bloom qoray, maqaalkaa oo uu magac uga dhigay sidan: ''Recognising Somaliland would boost the fight against piracy ''. Uu aad ugu faafay war-baahinta dibada. Hadaba Waraysigaasi oo uu mudane Godfrey aad ugu amaanayo Somaliland iyo horumarkeeda, dalbanayona in Ingiriisku aqoonsadaa waxa uu u dhacay sidan ee ka bogo. Somaliland: Is there a spin doctor in the house? In May Somaliland celebrated its independence. It's not surprising if this fact passed you by – the lack of a government communications unit means the country missed out on getting its story told in the international media. Much as we might deride the heavy-handedness of certain government spin doctors on the continent, the fact is they perform a vital function in facilitating government-press relations. Last month, the little breakaway republic of Somaliland celebrated 20 years of de facto, if not legal, independence from Somalia. The country has a lot to celebrate, particularly in the context of the complete breakdown of the state next door. Where Somalia has civil war and pirates, Somaliland has a functioning government, a thriving business community and, those most elusive of commodities in this part of the world, peace and security. I was in Hargeisa for the independence day celebrations, covering them for one of the major newswires. Somaliland announced its secession from Somalia in 1991 and has operated as a more or less independent country ever since. It has its own president, parliament and constitution. It even boasts a central bank that prints its own currency, the Somaliland shilling. The peaceful existence of its three million mostly Muslim, but secular, residents contrasts sharply with the disorder and instability of Somalia. The world, however, has refused to recognise Somaliland. Reluctant to encourage other separatist movements, the West remains committed to supporting the embattled Transitional Federal Government in Somalia which opposes its separation. In his Jan 2010 case study on Somaliland, Nicholas Eubank theorizes that the relationship that the government of Somaliland forged with the population is stronger as a result of the absence of foreign aid. Connecting the government to the population is a central theme of our campaign in Afghanistan and a core tenet of PRT Nangarhar’s work. As an agent for international aid and a professed adherent to the “First, do no harm” principle, the implications of Eubank’s study are concerning. A poor country like Somaliland, without the benefit of international aid, had to find a way to live within its means. A poor country like Afghanistan is not learning that same lesson.Many definitions of governance involve the allocation of scarce resources. When international aid renders resources unnaturally available, the expectation for resources is beyond what the state can provide, creating a disconnect between the state and the population. The population’s expectations are unrealistic, and the government does not learn how to manage. I’ve seen both of those effects here. Hargeisa: What a Beauty! Check it Out! During my time at CENTCOM, I developed a process for quantitatively comparing every country in the world based on econometric data, surveys, and social indicators. Rather than compete with Brookings, Freedom House, or the Global Peace Index, I used them as sources in my model. In my stability spectrum, Afghanistan was typically the 2nd or 3rd least stable country in the world. The most unstable country in the world was always Somalia. That’s not exactly surprising. What might have been surprising was the relative stability of Somaliland, had it been included in my survey. It wasn’t, because most of my sources don’t consider Somaliland an independent country. This lack of international recognition has sentenced Somaliland to exist just below the surface of international attention, where the international aid community can’t support its marginalized population. This year’s civil war in Somalia has killed thousands of people and created over half a million refugees. Democracy, the rule of law and respect for human rights are almost non-existent in Mogadishu, where war, banditry, corruption, hunger, illiteracy, disease and unemployment are the norm. Somalia is a failed state that has failed its people. In contrast, the north-west breakaway region of the Republic of Somaliland is an oasis of peace, stability and progress in the Horn of Africa. Imperfect, but moving in the right direction, in May this year the country celebrated its sixteenth anniversary of independence. Hargeisa, Somaliland - Authorities in the self-declared republic of Somaliland said on Sunday they will not be taking any turn to join the rest of Somalia which has been marred by endless conflict since the ouster of Somalia’s former president Siad Barre in 1991. Emerging defiant yet again, officials in Hargeisa joined thousands in marking the 51st anniversary since the colonial authorities granted Somalia’s self-independence in 1960. Somaliland was a British protectorate and a separate state merged with Somalia on July 1 / 1960, five days after getting its independence from Britain. This gives Somaliland the right to be embraced by international community without the demand for a quest for recognition. Eritrea was forced to seek recognition when it broke unity with Ethiopia, no was Gambia when its merger with Senegal was broken. This unprecedented injustice will go to the annals of history and will be a shame on all democratic worlds. Maalmo yar uun ka hor ku dhawaaqistii madaxbanaanida Somaliland oo ku beegnayd 26/6/1960 kii, ayaa marxuum Maxamad Xaaji Ibraahim Cigaal oo ahaa ra'iisal wasaarihii u horeeyay ee ay Somaliland yeelato, laga warastay idaacada BBC-da laanteeda afka Soomaaliga, oo wax laga waydiiyay booqasho shaqo oo uu ku joogaymarxuumku xiligaa dalka Ingiriiska, waxa uu waraysigaasi kaga hadlayay maxuum Cigaal arimo badan oo ay ka mid yihiin, qaadashada xornimada Somaliland, isku darsigii labada gobol ee Koonfur iyo Waqooyi iyo, sida hada ay u bilaabantay hawl aad u adag oo in loo wada guntadaa ay waajib tahay. Suugaan: Silsiladii Siinlay ee Caanka ahayd iyo Abwaanka da'da yar ee Yuusuf Shaacir oo tirinaya! It was 51 years ago when on 26th June 1965 Somaliland, a former British Protectorate, achieved its independence. Somaliland was an independent country for five days and was recognized by some 35 states, before it voluntarily merged with the former Italian Trusteeship which gained its independence on 1st July 1960 from Italy to form the Somali Republic. 26th June is the day when thousands of Somalilanders turned out to say farewell to the then British Governor, Sir Douglas Hall and his wife. It is a day we remember that the country became independent after 73 years of being a British Protectorate. The struggle for self-determination and independence did not come without a price. Our fathers and mothers, our uncles and aunties, our national heroes who courageously decided to confront the colonial rulers and paid heavy price for the freedom we enjoy today. The region's money exchange and remittance companies are quickly adapting to the rising demand for faster, safer and more efficient methods to transfer funds - a phenomenon brought about by the huge increase of immigrant workers worldwide. Somaliland: Hargeysa University affiliates with Ludivic University in Germany. Somaliland: Hargeisa University and the University of Ludvic Maximilian in Germany today signed a deal of collaboration between the two universities. The ceremony which was held in Hargeisa university premises was attended by senior officials from the two universities. Somaliland Minister for Health Dr. Husen Muhumed Mohamud (Husen Xoog) attended the ceremony in which the faculty of Medicine of Hargeisa University officially affiliates with Ludvic University in Germany. HARGEISA, Somaliland - The U.S. Agency for International Development’s Deputy Assistant Administrator for Africa, Rajakumari Jandhyala, traveled to Hargeisa to see USAID’s work with Somalis and to learn about progress of USAID programs. The Deputy Assistant Administrator met with government representatives, staff members from USAID’s Partnership for Economic Growth, Somali Interactive Radio Instruction Program and the Somali Youth and Livelihood Program, private sector business people, and visited the USAID-supported Mohamoud Mooge Learning Center. His name is Abdifatar Ali and he is only four. But this Somali boy knows about hardship and pain. His parents fled war-torn Somalia in search of a better life for them and their only child in South Africa. But life is not much easier here, they soon discovered. Home Affairs refused to issue him a refugee permit and he was in dire need of medical treatment because he had a painful gum disease and stood to lose his teeth. But the state hospitals would not treat him. He had no papers, so he “did not exist” as far as they were concerned, said his father, Muktar Ali Gurhan. Somaliland: Daraasad balaadhan oo laga sameeyay lixda gobol ee dalka Somaliland, oo ku saabsan dhaliyarada Somaliland iyo waayahooda gaarka ah, oo ay wada sameeyeen wasaarado ka mid ah dawlada Somaliland iyo dalada ururada dhalinyarada Somaliland '' SONYO'', oo lagu soo ururiyay xogo ku saabsan dhibta ka haysata dhaliyarada reer Somaliland arimo ay ka mid yihiin shaqada, waxbarashada, guurka iyo balwada. As Somaliland begins its third decade of running its own affairs the harsh realities of life continue much as before. In common with its neighbours the country is dogged by range of issues that prove to be a constant drain on time and resources. Whilst it is natural that many operating in the political sphere have concentrated much of their effort upon the issue of international recognition, there is a real danger that in so doing they neglect issues that affect the lives and well-being of ordinary Somalilanders. Seasoned observers of the country recognize the need for a recalibration of policy and the formulation of a vision of Somaliland, not just for the next few years, but one that will serve the people and region well in the years to come. HARGEISA, Somaliland, 20 June (UNHCR) – On a recent visit to Hargeisa, refugees showed the UNHCR Somalia Representative a number of articles in local publications that portrayed them in a negative light, often with incorrect information and a lack of understanding of their plight. UNHCR offered to organise a workshop for local media where the work of UNHCR and basic principles of international law could be explained to journalists to foster a greater understanding of the realities of the daily lives of refugees and asylum seekers in the region. Somaliland, a former British colony, declared independence from Somalia in 1991, following the ouster of former Somali dictator Mohammed Siad Barre. No sovereign state has formally recognized the area as independent. In March, the region opened a maximum-security prison built with United Nations funding to incarcerate pirates convicted of attacks off the coast of Somalia. Burao (Somaliland). ‘Milk and meat is the life of Somalis’, says Mohamoud Abdi Falay, the Deputy Mayor of Burao Town, located some 170 kilometres east of Hargeisa, Somaliland. He is gazing over the new shades built at the Burao livestock market, initiated by the community, implemented by the Burao district authority in cooperation with ILO through the UN Joint Programme on Local Governance and Decentralized Service Delivery. Support to the livestock industry may seem like an unusual task for the International Labour Organisation (ILO); but maybe not when seen in the context of job creation and improvement of working conditions.‘The ILO in Somalia works by building on approaches improving livelihoods through employment generation, enterprise development and improvement of working conditions’ says Mr.George Okutho,ILO’s Country Office Director for Ethiopia and Somalia. Rajo Foundation: Hargeisa orphanage is in need. ( Dar Allah U Caawi). When Sada Mire was just 12, her father, a Somali police official, was executed by the country’s brutal Barre regime, which saw him as a political threat. In 1991 she fled Somalia, reuniting with family in Sweden and eventually pursuing graduate studies in England. But while working on her Ph.D. in archaeology from University College London, Mire’s academic interests drew her back to Africa. She returned to her homeland for the first time in 16 years to carry out research in Somaliland—a relatively peaceful, self-declared state in the northwestern part of Somalia—where she discovered several prehistoric rock art sites. In 2007 she was named Somaliland’s Director of Antiquities. Mire hopes to spur interest in the region’s cultural heritage, using the past to foster peace and understanding among her people today. I’d would like to announce the great news of the launch of the Somaliland Youth Alliance Of North America, (SYANA). We are an alliance of young adults spread around North America (USA and Canada) who hail from Somaliland. Some of us haven’t had the opportunity to see Somaliland, some don’t speak the language, but since our parents came to North America within the last 20 to 25 years, we have strong connections there. Among the reasons for setting up this organization is to one day go there and take part in the development of the country and the people. Why development? Because Somaliland is still recovering from the brutal war imposed on its people by the former dictator of Somalia which left the country in ruins and its citizens fleeing to all over the world. A few weeks ago The Islamic Globe wrote about how Somaliland was planning to change its financial regulations. We can now confirm the government is putting its final touches to the proposed banking act. At present the constitution of Somaliland requires all financial transactions to be Shari'ah compliant, but according to the Central Bank of Somaliland's governor, Abdi Dirir Abdi - speaking to The Islamic Globe - new proposals will now allow conventional banking in order to open the economy up to international trade. In today’s Somaliland update we have a set of pro-Somaliland independence updates from a wide variety of sources that demonstrate Somaliland’s international profile is increasing. Somaliland247 has obtained a statement from UK Indpendence Party European Parliament Member for the English Midlands, Godfrey Bloom, that the rise of Islamic fundamentalists in Yemen and the threat of the closure of the Red Sea requires that the world find support for its anti-piracy fight in Somaliland. This author could not agree more, and the statement is worth quoting in full. Attempts to tackle the scourge of piracy and keep the Red Sea open for merchant shipping. On 6 June, Catherine Ashton, the EU's foreign policy chief, spoke to the Asia-Europe Meeting in Budapest and, among other things, she touched on the situation off the coast of Somalia, pointing out that 500 people have been imprisoned for piracy off the coast of Somalia and saying that the solution to piracy “lies on land”. It does, of course. Somaliland has defied the odds by delivering unexpected progress in governance according to a newly published global research project. The UK based Overseas Development Institute reports that despite lacking formal recognition as a state, Somaliland has developed a type of rule-based governance to which the rest of Somalia can only aspire. The territory has managed to establish basic public security, gradually improve its business environment, and is increasingly capable of providing for its citizens. A pragmatic blending of ‘traditional’ and ‘modern’ institutions, in which the de-facto government’s legitimacy rests, has been instrumental in driving this progress. Somaliland: Long stay in camps likely for Somalia's internally displaced. Hargeisa/Dadaab, Somalia - Sahra Hassan Nuur feels like a stranger in her own country. The mother of seven tugs her veil to protect the small child she is holding from the glaring sun. Shade is a rare phenomenon in this refugee camp in central Hargeisa - the capital of the de facto republic of Somaliland, in northwestern Somalia. Around 2.2 million of Somalia's 9 million people have fled the civil war in their homeland. During their search for normalcy, security and peace, many have for years seen nothing but the desperation of overcrowded camps. 20 years after self-proclaiming independence from Mogadishu, Somaliland still awaits recognition from the international community. Steve Kibble, an expert on the Horn of Africa and an activist for the NGO ‘Progressio’ describes the profile of a state that, at least on the political charts, is still absent. In the past twenty years only the northern territories have managed to avoid the conflict that has troubled the central and southern areas of Somalia. What is it that makes Somaliland such a different region-state than the rest of Somalia? Guddoomiyaha guddiga Doorashooyinka Somaliland Ciise Yuusuf Xamari oo ka socda Somaliland, ayaa Tabobar ku saabsan Maamulka iyo shaqo wanaaga oo socon doona mudo sedex todobaad ah ku qaadanaya dalka Maraykanka, Tabobarkaasi oo ay ku weheliyaan Tobaneeye dal oo kale oo dhamaantood ka mid ah qaarada Afrika. Dalka Maraykanka ayaa Tabobarada jaadkan oo kale ah aalaa u fidiya dalalka ku yaal qaaradaha Afrika, Aasiya iyo Yururbta bari. The collapse of the unified Somali state under General Mohammed Siyad Barre in 1991 after protracted civil war left in its wake widespread dislocation, death and destruction. Yet despite the chaos in southern and central Somalia, the northwest region of Somaliland has achieved the type of progress in governance to which the rest of Somalia can only aspire. This former British protectorate has been defined by a relative peace and calm and the development of an emerging set of state institutions. Somaliland has developed its own structures and systems of governance, drawing on elements of a kin-based system that provided the organising structure for social, economic and political activity during centuries of nomadic pastoralist history. Last week, the president and parliament speaker of Somalia’s struggling “Transitional Federal Government” (TFG) signed an accord to temporarily paper over their differences, agreeing to a one-year extension of each other’s term of office as well as the dismissal of the prime minister, Mohamed Abdullahi Mohamed, who objected to the deal. By and large, this milestone passed without much notice. After all, in the twenty years since the dictator Muhammad Siyad Barre fled Mogadishu as the last entity that could plausibly be described as the government of Somalia collapsed around him, the country has seen no fewer than fourteen attempts to reconstitute a central authority in what is the world’s most spectacularly failed state. The TFG is the fifteenth such internationally backed effort and, until this latest shakeup, was limping towards an August expiration date with no better prospects than its predecessors, so why should anyone care? Waraysi ay hadhwanaagnews la yeelatay nin wariye wayn ah oo magaciisa la yidhaa mudane Maxamad Yuusuf Uurdoox oo ku nool dalka Canada. Mudane Maxamad Yuusuf Uurdoox waxa uu ka sheekaynayaa arimo badan oo ay ka mid tahay, daba-gal uu ku sameeyay qaar ka mid ah kuwii xasuuqa ugu xun ka sameeyay Somaliland sanadahii sideetanaadkii, oo qaarkood laga mastaafuriyay dalal ay qaxootinimo ku joogeen sida Canada. 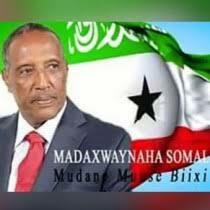 Waxa kale oo uu ka sheekaynaa dhib badan oo ambassador Cawil (wasiirkii hore ee maaliyada ee Somaliland) uu dad badan oo reer Somaliland ah u gaystay xiligii uu xukuumada Siyaad Bare U shaqayn jiray! Minister for European Affairs and International Cooperation Ben Knapen paid a visit today to Somaliland, a region in the North of Somalia. His agenda included a meeting with Somaliland’s president, Ahmed Mohamed Mohamoud, and its foreign minister. Somaliland has been stable for several years and held democratic elections last year. Mr Knapen said that the rest of Somalia could learn from Somaliland’s experiences with stability and democratisation. Dr Maxamad-Rashiid Sh. Xasan Oo Waraysi Dhinacyo badan leh Kaga Waramaya Shirar Uu Dhawaan Qadiyada Somaliland Kaga Dooday, Oo Ka Dahacay Dalka Ingiriiska. '' Dhegta maal ''. Dr Maxamad-Rashiid Sheekh Xasan (la taliyaha madaxweynaha Somaliland ee arimaha Ictiraaf raadinta), Oo waraysi uu siiyay hadhwanaagnews ka waramaya hawlo badan iyo shirar badan oo uu ka qayb galay intii uu joogay dalka Ingiriiska. Waxa kale oo uu si gaar ah la taliyahu u tilmaamay qiimaha ay lahayd xuskii 18/5/2011-ta ee labaatan guuradii qaranka Somaliland, siiba banaan-baxii waynaa ee ka dhacay magaalada London/uk. Progress Report: Somaliland here we come? 1. How do we fancy working in Somaliland? Mmmmm! Last month Derek Nkata, the head of Link in Uganda, surprised us with this offer. A representative of an Africa-wide education organisation who had been working in Somaliland, had been telling Derek that the Ministry of Education there was looking to re-establish an inspectorate and introduce a new curriculum. Did Derek know of anyone with appropriate credentials who might be able to advise and work with the Ministry? Well, in brief, we were fingered. Later that week we met the man from Somaliland in Kampala. Maxaad ka taqaanaa Barnaamijkii Siyaasadeed ee Ururkii xaq u dirirka ahaa ee SNM? Akhri! Ururkii xaq u dirirka ahaa ee magaciisa la odhan jiray Ururka Dhaqdhaqaaqa Wadaniga ah ee Soomaaliyeed ''SNM'', ee halganka qadhaadh ee mudoda ka badan tobanka gu' (1981-1991) la soo galay maamulkii askarta ee uu Siyaad Bare hor-fadhiyaha u ahaa, waxa uu ahaa Urur leh bar tilmaameedyo ama yool uu beegsanayay. Waxa aad halkan ka akhri kartaa barnaamijkii Siyaasadeed ee uu ururka SNM samaystay ee ay qorshayaashiisa hawl-galeed ku dul qotomeen. Waxa qorlaakan inoo diyaariyay qoraaga caanka ah, Cabdi Yuusuf Ducaale oo ku magac dheer '' Boobe''. Guji halkan hoose si aad u daalacato. President Mohamed Ibrahim Egal Explains the Differences between Somaliland and Somalia! Why should we educate our daughters? . Education is a progressive discovery of our own ignorance. It is a basic human right entitled to every single individual living on planet earth. It is the precious key for unlocking the golden door of a lasting freedom. Countless number of nations was freed from the agony of slavery when they obtained the extraordinary power of knowledge. It was through knowledge that people became well aware of their rights, and they could no longer be fooled. As a matter of fact, education is not equitably distributed among the members of our societies, our dear daughters being the most affected. Somaliland: USA-AID Oo Somaliland Markii u Horaysay Ka Fulinaysa Mashruuc Horumarineed oo Balaadhan oo la yidhaa '' Iskaashiga Kobcinta Dhaqaalaha ''...* Dhegta Maal*. Somaliland: Shir balaadhan oo ay wada yeesheen wafti ka socda hayadda Dalka Maraykanka u qaabilsan gargaarka ee magaceeda la yidhaa USA-AID, iyo Dawlada Somaliland, oo ka dhacay magaalada Hargeysa, ayaa lagu soo bandhigay mashruuc cusub oo horumarineed oo magaciisa la yidhaa ''Iskaashiga kobcinta dhaqaalahda''.Mashruucan waxa fulinaya hay'ad kale oo Maraykan ah oo qandaraas ku qaadatay oo magaceeda la yidhaa DAI. Mashruucan oo ah kii u horeeyay ee noociisa ah ee USA-AID ka fuliso Somaliland, waxa ku bixi doonta lacag badan oo malaayiin doolar ah.